May 2015 is a perfect time to promote food and beverage businesses. Why? 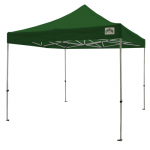 There are many national food observances scheduled to take place during the month and businesses of all sizes can easily capitalize on them with our pop up tents. 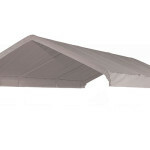 The pop up tents can be set up just about anywhere and are attractive enough to draw large, enthusiastic crowds. So, which May foodie events should you add to the company calendar? 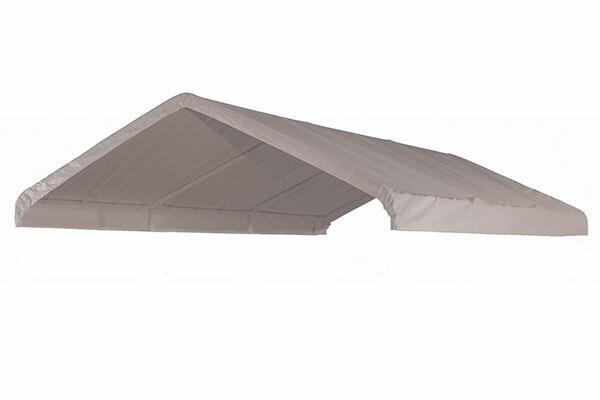 At Canopies and Tarps, we’ve got instant, commercial, automotive, striped and NBA pop up tents in stock that could be used during any of the events that we mentioned above. They may be purchased individually or as part of a package. Our packages vary and may be supplemented with add-ons like PC PVC tube strap anchor kits, PC PVC stakes tension strap kits, banquet tables, side rail skirting, folding chairs and heavy-duty roller bags. We’ve also got high quality, mesh wall kits especially designed for May foodie events. To learn more about our pop up tent collection and get your companys future plans locked down, please contact us today. This entry was posted in pop up tents and tagged pop up tents on April 20, 2015 by CanopiesAnd Tarps. Global Employee Health & Fitness Month is coming and athletic field covers can help you prepare for it. The annual observance was partially designed to get people from around the world to temporarily walk away from their sedentary jobs and get their blood flowing. Consequently, its possible to host a wide variety of fitness and health events throughout the month, including those that are best suited to take place outside. Our athletic field covers will help keep both indoor and outdoor fitness areas in pristine condition. For example, lets say that your company wants to host a baseball game during Global Employee Health & Fitness Month. One team will be composed of employees and the other will consist of upper management. Our collection of athletic field covers includes products that will protect both teams bull pens equally. We also have athletic field base covers, pitching mound covers and windscreens. 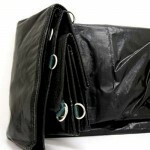 The windscreens are made from 8.2-ounce vinyl and feature evenly spaced grommets. So, you could use the grommets to hang up vinyl signs that support both the employee and management teams. The screens also come in colors that may just match one of the hues used in your companys logo. Some of the popular colors on offer are gray, white, forest green, Carolina and navy blue. As for the bull pen covers, they come in shades of black and white, which pair well with our silver and white base covers. The gymnasium floor could be used during Global Employee Health & Fitness Month too. The come in various sizes and colors like yellow, red, black, white, royal and blue. Put them down to protect the floor before company basketball games, indoor aerobics or early morning yoga. The polyester reinforced, laminated vinyl will stand up to whatever your employees can dish out. To learn more about them and the other covers that we mentioned, please contact us. This entry was posted in athletic field covers, Uncategorized and tagged athletic field covers on April 20, 2015 by CanopiesAnd Tarps. Maintaining a property is tough, especially when warm weather arrives. It seems like the grass always needs to be cut and the weeds arent far behind. Then theres the power washing, mulching, harvesting and pool cleaning work. It all needs to get done too. Many Americans can handle such work on their own but what about the ones who need help, like the aged and infirm? Oftentimes, they cant take care of lawn care tasks on their own. So, why not help them out if you can? At Canopies and Tarps, our truck tarpaulins are perfect for guys and gals looking to help their neighbors complete a few seasonal lawn care tasks. They come in a half-dozen sizes and will certainly keep those lawn mowers, landscaping tools and bags of mulch dry. In addition, the 6-ounce poly tarpaulins are tough enough to survive those times when your 4-cycle weed whacker mower decides to spit out chemicals all over the bed of your truck. Why? Unlike cheap tarpaulins youll find elsewhere, ours are chemical resistant. So you dont have to sweat loading up those engines with fluids. And as for those chainsaw blades, machetes and other sharp-edged tools. Well, they wont leave abrasion marks or stains on our truck tarpaulins either. Oh and thats ditto for mold, mildew, punishing UV rays and standing, hard water. Plus, they wont leave your wallet empty like a glass of iced tea on a hot day. Prices start as low as $17. Consequently, you can order more than one and send your teenagers out in their pickups to help the neighborhoods elderly too. When youre not fastening the truck tarpaulins down with their built-in, beefy D-rings, theyll fold up nicely. So, you can store them behind the seat, in the truck or your portable tool chest. The storage location is up to you of course. To learn more about our truck tarpaulins and start helping the needy, please contact Canopies and Tarps today. This entry was posted in truck tarps and tagged truck tarps on April 10, 2015 by CanopiesAnd Tarps.